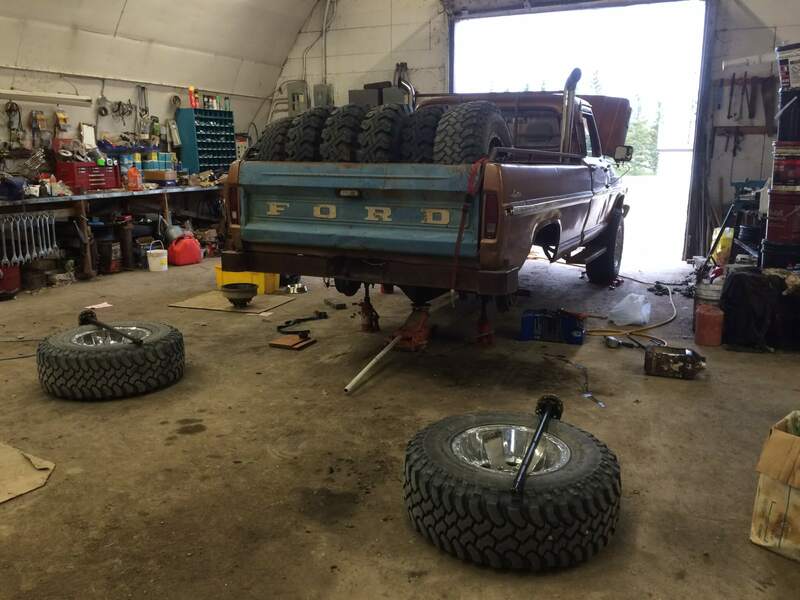 1972 Ford F-250 – Gavin M.
After getting a 7.3idi diesel motor I wanted a solid old truck to swap it into and drive daily. 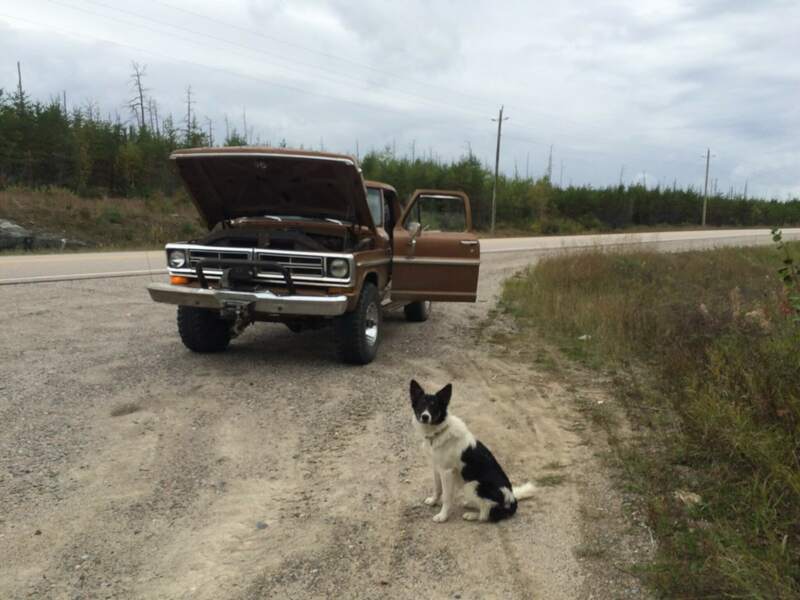 I’ve always wanted a highboy but living in the salt belt in Belleville Ontario old trucks are hard to find, this is why I took to Kijiji. I bought a truck from Star City Saskatchewan and hitched a ride with my sister in law as she passed through on her way to Banff to pick it up. The real story begins here, The truck I had bought sight unseen on only a few pictures was not all it was cracked up to be, the cab was pretty good but both front quarters were junk and the box was not any too pretty either. Needing a ride home I decided to take it anyway and start the 3000km journey. The passenger side floor filled up with my gear and the seat taken up by my travel buddy Susie the Border Collie I tossed the box of tools in the back next to all the spare tires and random junk that the seller decided to throw in and headed out. The truck drove surprisingly well and I was beginning to grow fond of it until less than an hour later it quit on me, fueling issues due to a rusty tank. Limping to a parts store I bought every plastic fuel filter they had and headed back out replacing fuel filters every few hours. The next day the fuel pump gave out pumping some here and some there quitting every few miles. Made it to a different parts store and did an electric pump conversion in front of their store. Back on the road again. Making it to Manitoba it was becoming obvious that the rear brakes would need some serious attention, the truck stopped great at slow speeds but step on it form 60 miles an hour and you’d better hope you had a clear mile to stop. 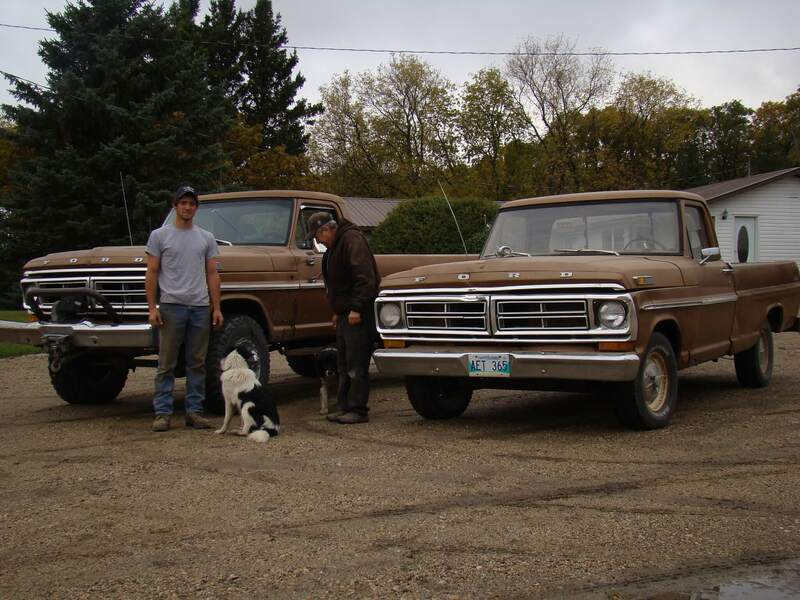 By fluke filling up at the Coop in Minnedosa I met Darwin, he was lingering around my truck eyeing it up, as it turned out he had a 72 as well the exact same colour although a 2wd, said he’d never seen another one and told me I had to come to his farm and see his as it was off the road and just sitting, after chatting some the issue about my brakes came up and he insisted I bring my truck to his shop and get everything sorted out. 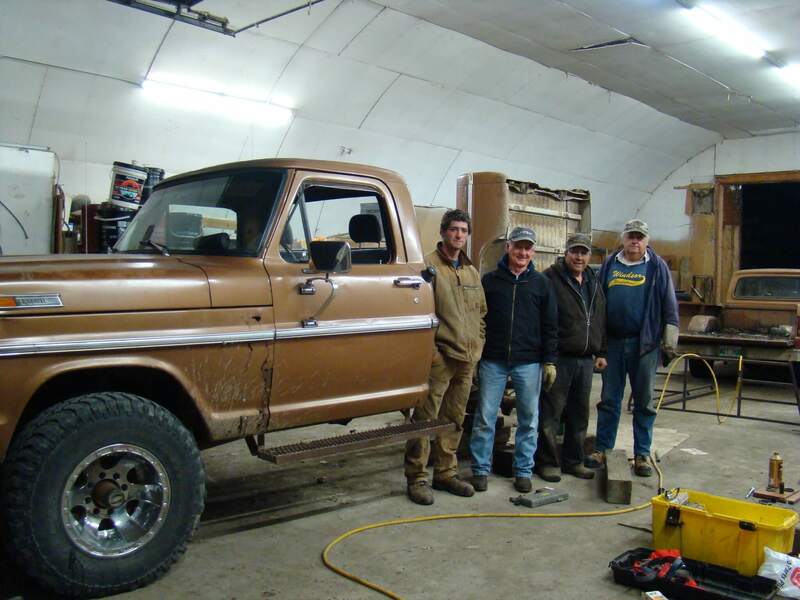 I’ve never met such as nice man, he lent me his truck to run back and forth to town to pick up the parts that I needed, let me have a shower in his house and sleep in his spare room he even offered to give me parts off of his old truck. This led to us trading boxes since his was a nice box on a sad truck and mine was a sad box on a nice truck. His friends came over and we did the swap. I wished I could spend more time there with them, they were all such nice folks but my 7 day trip permit was halfway through and my trip wasn’t half done yet so I had to say goodbye. Sleeping in the cab out there was tough, being just about October it was below freezing every night, without the dog sleeping on top of me I would have frozen. The rest of the trip went mostly trouble free with only a few small hiccups here and there, mostly still clogged fuel filters but we made it home with one day to spare on the trip permit. Driving halfway across the country in a truck with no plates and up until the Ontario border no muffler either (previous owner had these stupid smoke stacks on the truck) we never got pulled over a single time. Back home now I am so excited to start work on this truck and drive it on a regular basis, it has a spot in my heart now and I wouldn’t trade the memories of our trip home for anything in the world.